I left Morshando in Feralas. After battling Cho'gal (see next post), I was one level to low to continue. Maybe I should not have skipped the quests in the Desolace? So, I entered the LFD for a dungeon or two. Luckily, to keep in spirits, I got Dire Maul. After completing, a level was gained. ....and Morshando entered Thousand Needles...... IN WATER. You get your own River Boat. Just cruising along, nothing beats that to set sail to the...oh wait..only in 1K. So, after all the Pirates, some Ice-creams, and some other old friends, Morshando was off to the desert...well...at least what was left of it. 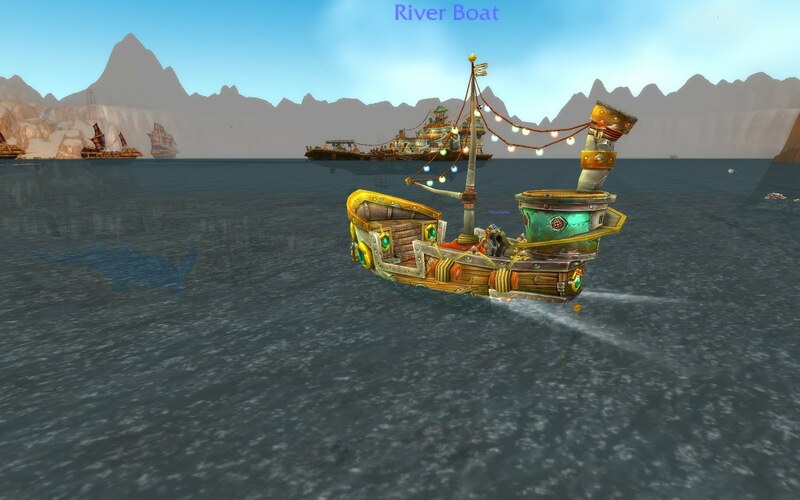 Tanaris still has you battling pirates, and killing some bugs. And there is also a quest-line explaining that two-part sword from Zul'Farrak. You also help the Bloodelves in some archaeology-digs, and have to enter the old doors of Uldum. ...and off to the Crater. In Un'goro some things changed, but you still have to kill a lot of dino's, be aware of the Ninja-saurs. Do some mud-diving, and help a Paladin... actually a quite fun quest. The collect-the-colored-stones-quest has a new ending, which was rather well done lore-wise. But, as in Feralas, one level short to continue, so some dungeons later, I was on my way to Silithus. Mind you, this was as lvl54. Now Silithus has a warm spot in my heart. Not because I actually like it, but because almost all my characters dinged 58 there. Some just after running through the elven village, others longer in. And, of course, Gowron has been farming here for cenarion Circle reputation. wait a moment... I am done... two levels short of Outlands. shouldn't there be more quests here? Actually, the achievement only needs 18 quests (1 more then Alliance-Arathi Highlands). So it seems this was it. Before I am making a real conclusion, I will first finish levelling a human lock. She's now in STV, and will continue to The barrens-Dustwallow and then up north, towards winterspring. 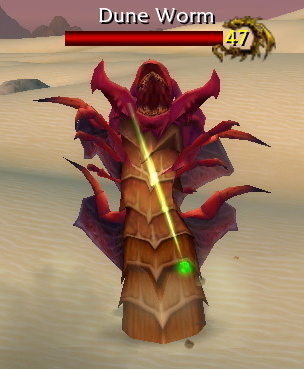 Tomorrow: Innovations Second kill of Cho'Gal, which we one-shotted.